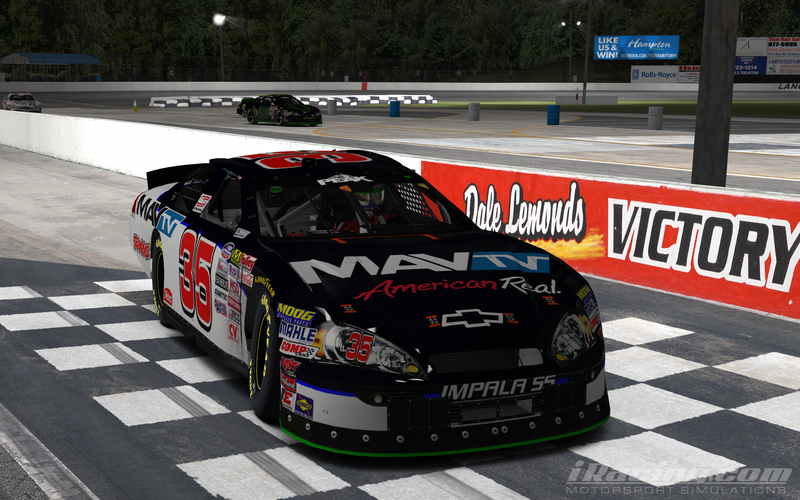 All 3 of the BRL series’ raced at Langley Speedway in Virginia last night. Ernest Brown takes the win in the Crooked Still Late Model Series race and Matt Hoose wins in the Outlaw Modified Series. 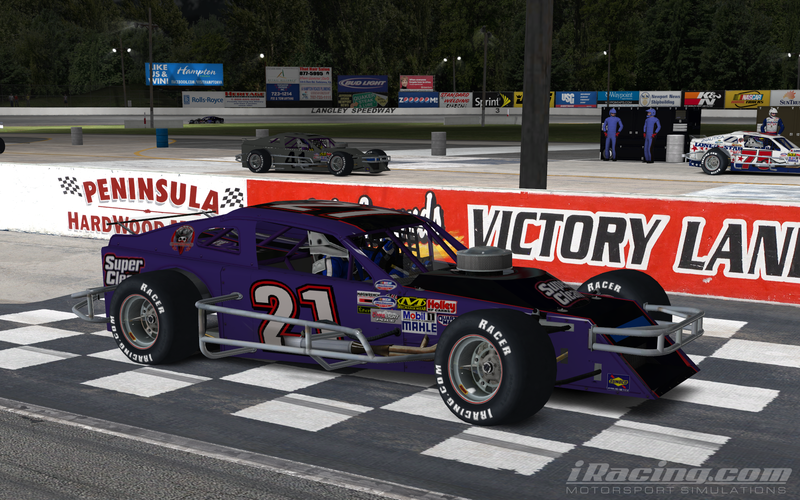 In the Grand National Series it was Matt Shinoski taking the victory. This is win #1 of the season for all 3 racers. 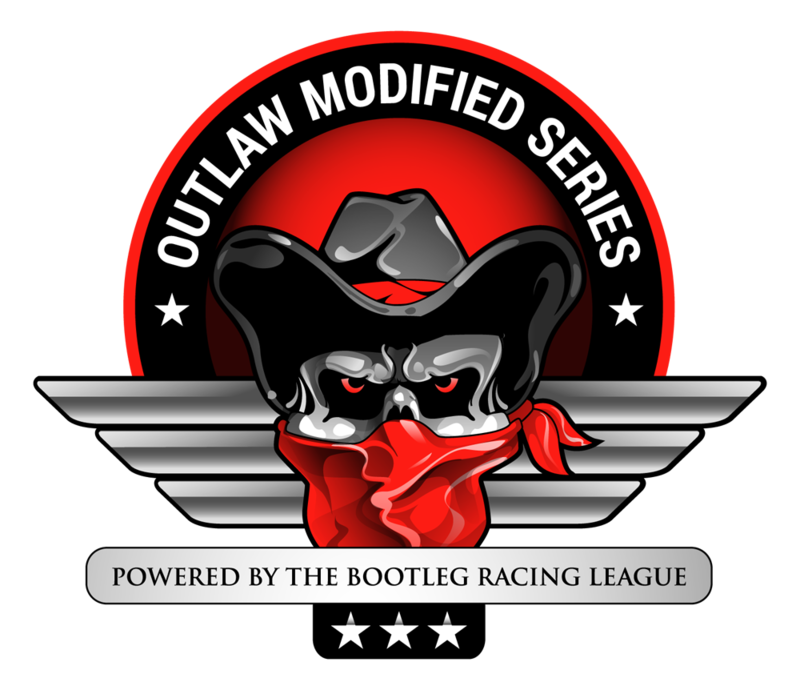 The Late Models and SK Modifieds will visit Irwindale Speedway in California next weekend, while the Grand National Series heads for Alabama’s Talladega Superspeedway. 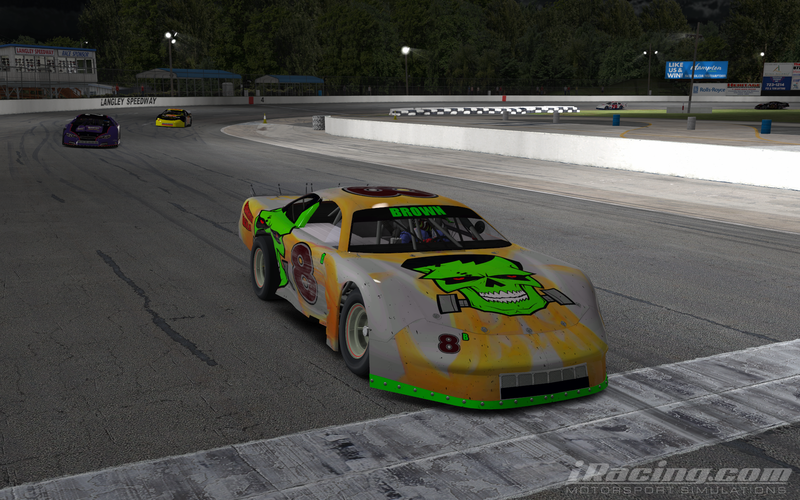 This entry was posted on Sunday, February 15th, 2015 at 8:34 am	and posted in Bootleg News, Crooked Still Late Model Series, Grand National Series, iRacing, Outlaw Modified Series. You can follow any responses to this entry through the RSS 2.0 feed.